We are: punk attitude, riot grrrl aesthetic, queer feminist rage, the politic of “people” before “profit”. We are the lead guitarist who doesn’t solo, the trombonist playing percussion, the singer who just shouts. We are hatred, we are joy, we are noise for the sake of noise. We are Not Right. 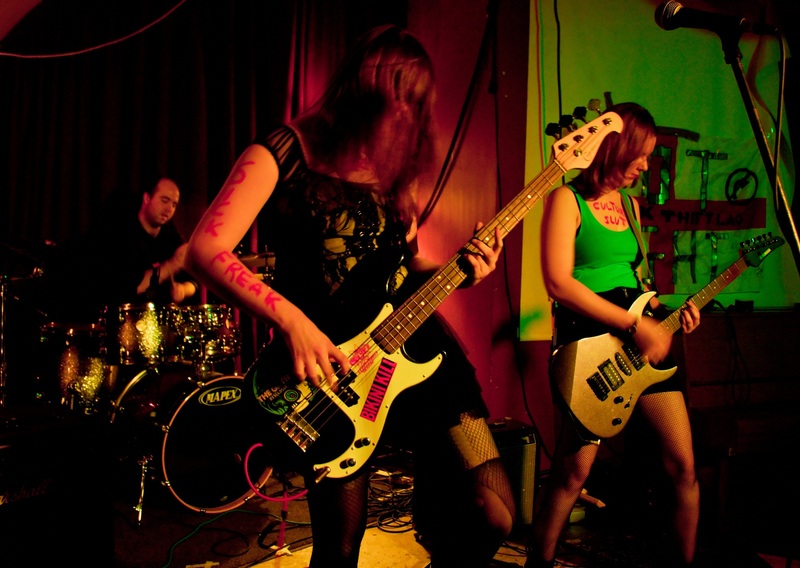 We are a three-piece punk band based in the general vicinity of Coventry, UK. We are also on Facebook and Bandcamp. Thanks a lot for all of the kind words, we really appreciate them! The first song we played last night is called Intersectionality Song and you can find a recording of it here: http://notrightpunk.bandcamp.com/track/intersectionality-song. As a heads-up, we’re hoping to re-record it sometime before the end of the year! Hi. you are more than welcome for any advocacy. A good few people seem to agree with me though so by the time you get here again maybe you’ll have a good ‘fan base” ( heard that term on radio 6 ) at any rate you’ll get an enthusiastic welcome.